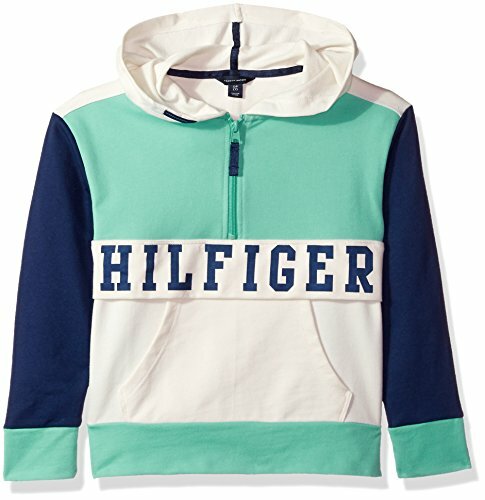 Tommy Hilfiger Big Girls' Colorblocked Hoodie, Florida Green, Small | What Should I Say? Tommy Hilfiger is an American multinational corporation that designs and manufactures upper market apparel for men, women and children, and a wide range of licensed products such as footwear, accessories, fragrances and home furnishings. Color blocked Hoodie.